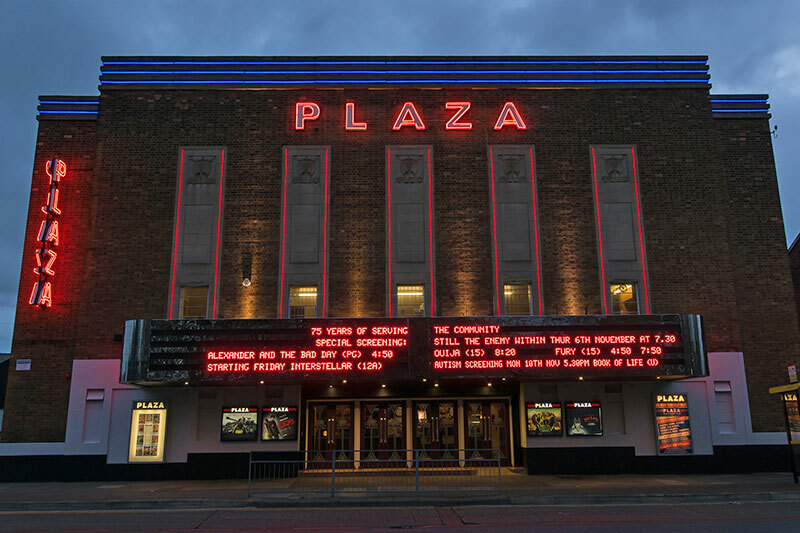 Yet again Benson Signs demonstrates its continued support for local community projects with the manufacture and installation of prominent LED message displays to the canopy of the Plaza Community Cinema, Waterloo. These displays replace a back-lit slide-in letter system that was looking worn and scruffy and, more importantly, it means the use of ladders to change the message is a thing of the past. The new displays are a fitting complement to the recently installed neon projecting sign and high level LED accent illumination. 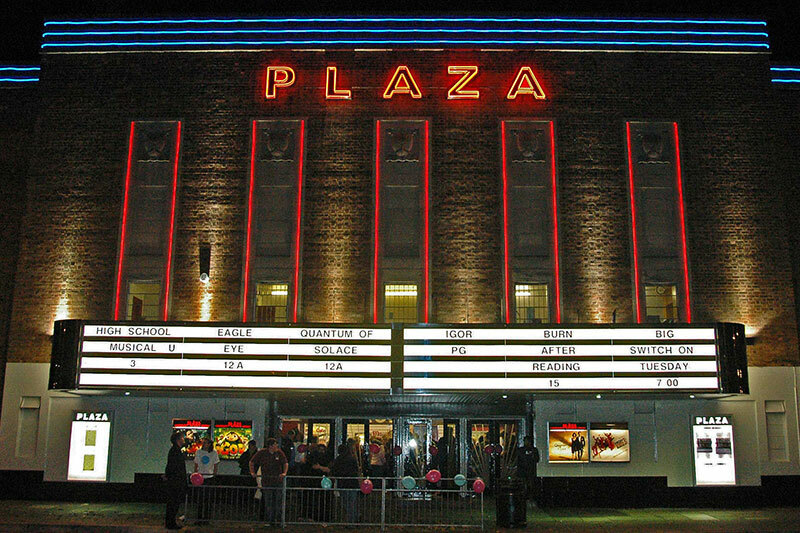 The Plaza Cinema was designed by Architect Lionel A.G. Prichard and built by Ernest Spencer & Company of Aintree. Due to regulations introduced because of the imminent outbreak of war the cinema holds the distinction of opening and closing on the same day; 2nd of September 1939. The cinema re-opened two weeks later, when regulations were relaxed. 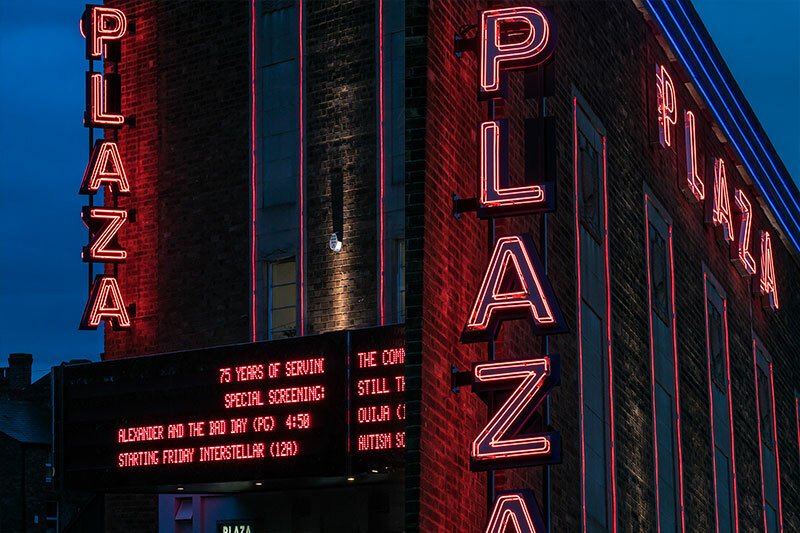 The cinema has had a turbulent history, facing closure on several occasions. 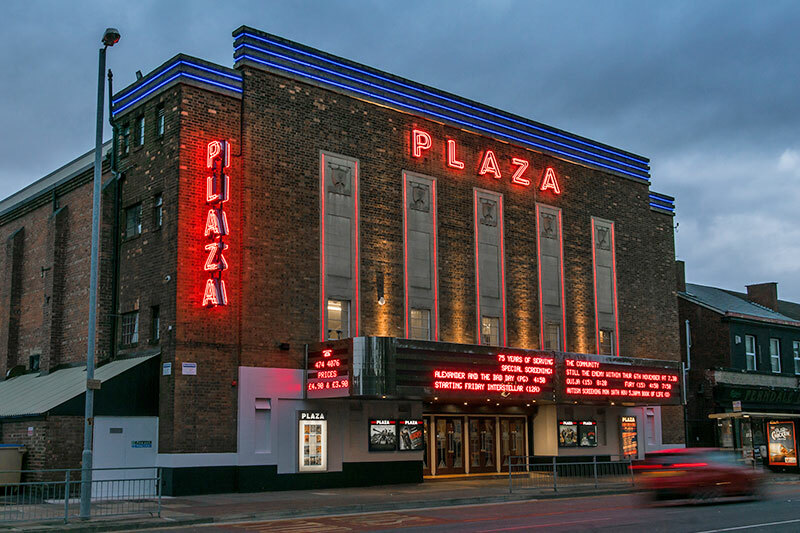 But, due to the efforts of volunteers and support from the local community, the Plaza Community Cinema is now a thriving local asset.